Today, memes are the darlings of the millennials and thanks to the rise of websites and services such as 4chan, Reddit, Twitter, Instagram, and YouTube are now at the forefront of the current internet zeitgeist. As such they are also a puzzling piece in the marketing puzzle—Should your company use memes to increase your online marketing presence? 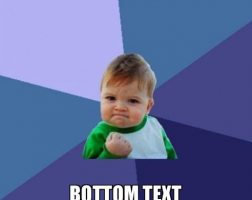 Some companies are able to successfully leverage the use of memes in their content marketing. We’re going to look at two examples and see what makes them work. Since then, due to the rise of websites and services such as 4chan, Reddit, Twitter, Instagram, and YouTube, memes have morphed into more abstract terms and into the everyday lives of millennials—ranging from simple tweets and photos breaking the original mold of the top and bottom text to more long-form video content and copy and paste stories referred to as “copypastas,” and even other various forms of media, memes exist today largely as a form of comedy among internet users. But what happens when large companies decide to bandwagon off of this rapidly changing concept in their marketing materials? Success stories:Some companies are able to successfully leverage the use of memes in their content marketing. We’re going to look at two examples and see what makes them work. During the 2018 Super Bowl, Tide featured a series of ads featuring Stranger Things star David Harbour. In the ads, Harbour parodies various existing commercial campaigns from large companies—from Lincoln to Old Spice—and interrupts them to assure the viewer that they’re actually watching a Tide ad. These commercials were instant hits both online and in person. They disrupted the viewing experience of Super Bowl parties everywhere and kept viewers guessing if each forthcoming commercial was secretly a Tide ad. 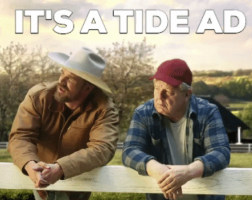 Tide expertly tied together parody and the large internet following of David Harbour to craft an instant classic in corporate meme use. Even today, more than a year later, references to this ad campaign are frequent in internet meme culture. On April Fool’s Day in 2016, seemingly out of nowhere, General Mills property Hamburger Helper released a five-song hip-hop album, titled Watch The Stove (a reference to Kanye West and Jay-Z’s successful album Watch The Throne). 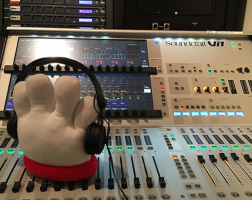 Together with coordinated meme content already curated toward the culinary-themed hip-hop tracks, Watch The Stove (along with Hamburger Helper) went viral on Twitter, Reddit, and music-sharing website SoundCloud. (It helps that the album, which Vice offshoots Munchies and Noisey refer to as “fire” and “flames” respectively, is actually pretty good.) Though an April Fool’s prank, the stunt succeeded in generating considerable buzz for Hamburger Helper, allowing a dated brand to enter into a new stage within the hearts and minds of millennials. But if you’re thinking “hey, this is so easy even I can do this” be aware that there are risks. Because meme culture so frequently evolves, by the time a major company has their meme concept approved by their marketing department, and signed off by legal, it might just be dead on arrival. Because memes are often a young person’s game, rely on younger employees to craft this content. You may feel tapped into millennial culture, but there remains a layer of authenticity that is difficult to crack if you are on the outside looking in. Maintaining authenticity also means avoiding using stale content. Focus on crafting fresh, new content rather than using old memes. If you’ve heard of it, it’s probably well out of vogue. The most successful meme content is original, rather than recycled familiar material. The most successful memes used in content marketing center around the company rather than convincing consumers of something. Create interesting content that refrains from conveying an explicit message to the consumer. While you’re not directing the consumer to buy your goods through message, your clever content content just might. Where Tide and Hamburger Helper have been successful is in directing the consumer to freshly-created content rather than dated jokes. The age-old maxim of fads rings true—if someone is talking about it already, it’s not cool anymore.